Got a thing in my email saying I got a new subscriber. Hello, Dex Gormenghast! 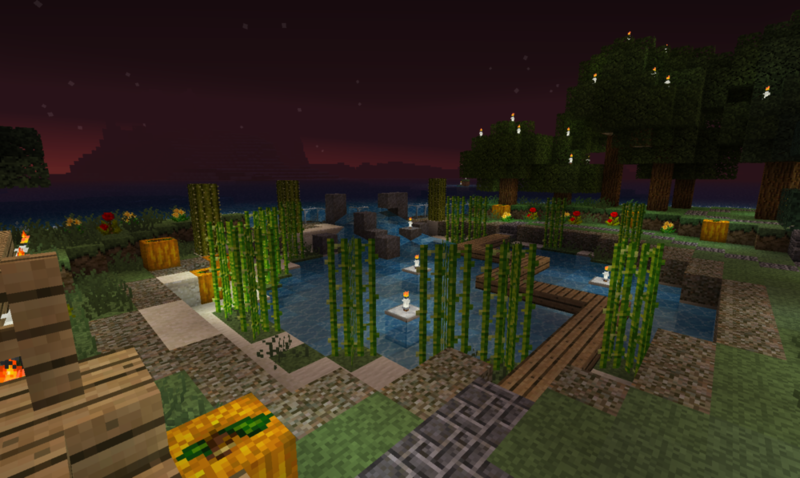 In light of this, I figured I should actually post something, so here’s a picture of my little garden in Minecraft. You can click it to make it bigger! I don’t think I knew Posterous had that feature. I’ll post some shots of the actual house, once I’ve finished replacing the cobblestone with the new stone brick and deciding what how I want to deal with the new architectural/aesthetic issues that have cropped up in that process. Posted in Uncategorized.Tagged minecraft, videogames. Yay more posts.Oooh, stone bricks :DI finally found some mine-shafts after you mentioned them on vghd.